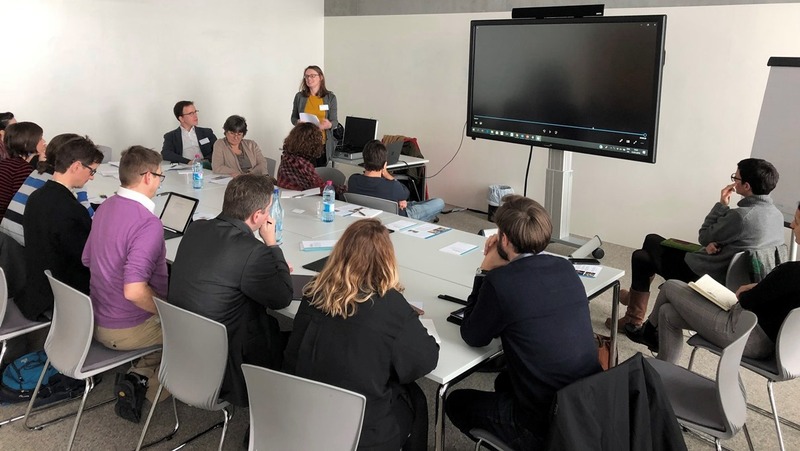 On Thursday, 31 January, the FNR and Sense about Science hosted a workshop on the topic ‘How (scientific) evidence should be used in the political decision-making process’, more concretely by Members of the European Parliament. The workshop was organised together with Sense about Science, a campaigning charity that challenges the misrepresentation of science and evidence in public life. In attendance were six researchers from different fields, along with six members of the civil society. The aim of the workshop was to set up a draft of expectation document for Members of the European Parliament (MEPs). The finished document is intended to serve as a mandate for the MEPs to not only encourage them to use scientific evidence in their decision-making and how this can be done, but also to ensure MEPs communicate how and which evidence they used as a basis for their voting and political decisions. A second workshop will be held in April/May to finalise the draft of expectation document, which will be presented to MEPs in Luxembourg following the European Parliament elections in May. This project is an EU pilot – similar workshops are being organised in other EU countries. An overall aim is to bring researchers, politicians and civil society together to discuss the role of science and evidence in politics.